Stephen Lam/ Getty Images.Apple CEO Tim Cook. Tesla CEO Elon Musk is in the middle of a go-private saga around the carmaker. Various ways to fund a potential deal have been debated, but nothing solid has yet emerged. Yet again, Apple and its pile of cash and trillion-dollar market cap could ride to the rescue. The circus maximus of Tesla’s go-private plan has been with us for about two weeks. I’ve already pointed out that we shouldn’t be surprised that Elon Musk doesn’t want to be the CEO of a public company anymore, but to be honest this thing has gotten pretty nuts. The deal itself – or non-deal, or theoretical deal, take your pick – is the nuttiest aspect. Musk wants to convert all Tesla’s major shareholders from public to private status and raise enough money to buy out anybody who can’t or doesn’t want to come along for the ride. This has reduced the price tag from a staggering $US80 billion (Tesla’s market cap at a $US420 per share exit valuation plus debt) to a far more modest but still chewy $US15 billion-$US20 billion, based on my own back-of-the-envelope maths. Musk has said that he’s talking to investors, and that he infamously has talked to the Saudi sovereign wealth fund. As we move into a fortnight of continued speculation, Teslaology, and drippy-drabby information leaks around everything from SEC probes to how many lawyers and bankers will ultimately make enough on this deal to buy extra homes, it might be worth it to again consider what I’ll call the “Mighty Eagle” scenario. Anthony Quintano/flickrBring on the Mighty Eagle! 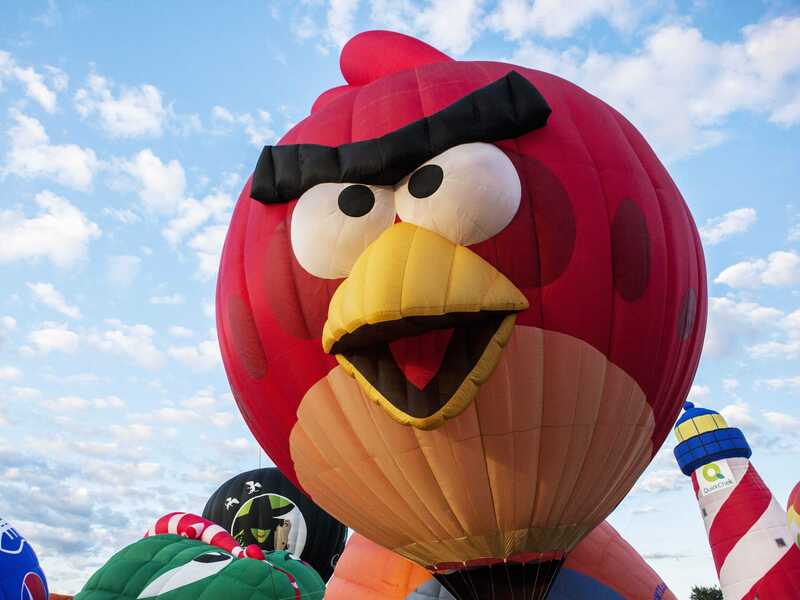 You might recall the Mighty Eagle from the Angry Birds craze a few years back. For months, my kids did little besides play Angry Birds whenever possible. Soon enough, they discovered the Mighty Eagle, the super bird that had the power to obliterate all pigs and their fortifications in a breathtaking, screeching swoop. Tesla’s Mighty Eagle is Apple. I’ve really done a 180 on this one. Initially, I thought Apple buying Tesla – a sort of Silicon Valley high-fantasy M&A mashup from the 2014-2015 period – was a bad idea. But then Apple began to demonstrate that it was floundering with its own car project. Tesla also started to look delusional about its own growth prospects, after a new pay package for Musk was approved that would see the carmaker’s market cap rising to $US650 billion. I’m somewhat more optimistic that Tesla will actually make good on some of its supporters’ more extreme predictions for the company’s eventual market impact (the “Tesla as the iPhone of cars” argument), but the last time I wrote about Apple buying Tesla, I maintained that such a deal would save Tesla from its own hubris. Let’s now amend that to Apple saving Tesla and Musk from one of the weirdest take-private schemes in financial history. It would just be so, so straightforward. Apple could easily pay $US420 per share for Tesla, in an all-cash, stock-and-cash, or all-stock deal. Apple could also play the role of take-private buyout funder, but that path seems far less elegant, although it would help Musk to avoid serving a single master, assuming he remained CEO. Apple has about $US250 billion in cash on hand and market cap of, yes, a cool trillion. Some Tesla investors might complain that if they, for example, swapped their Tesla shares for Apple shares, they’d be surrendering Tesla’s potentially huge future growth. But Tesla has already delivered a 1,000% return to early stockholders, so I think another massive growth cycle is unlikely. Then there’s the Apple Car – “Project Titan,” as it’s known internally. 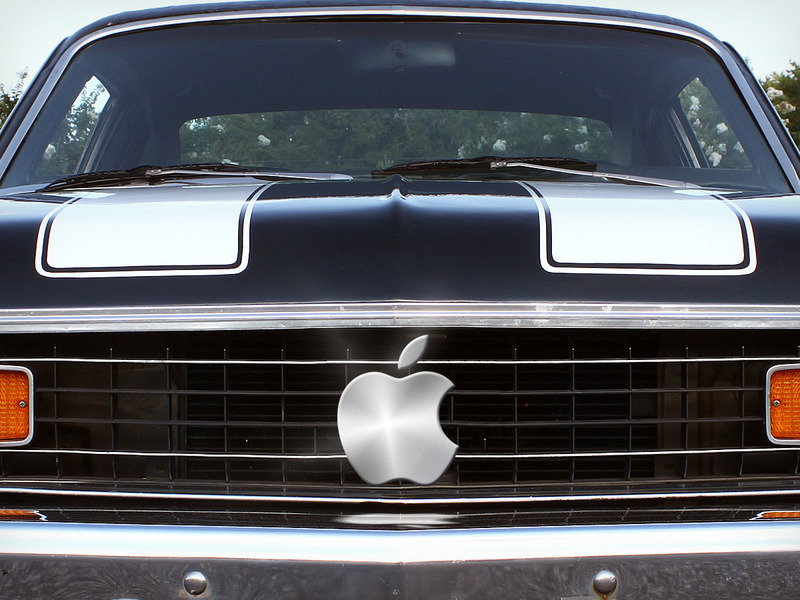 As Business Insider’s Kif Leswing reported last week, there’s chatter about an Apple Car launch in 2023. But that isn’t going to happen. That’s about four years to develop an actual vehicle, and while Apple can move mountains, it would take an established automaker more time than that to create a new car from scratch. Also, why would Apple bother? Nobody ever talks about this anymore, but it acquired a nice business for $US3 billion when it bought Beats in 2014, accelerating Apple’s wireless efforts, infusing new technology, and pickup up the premier headphones company for people under 40 (older folks might prefer Bose). I wouldn’t call Tesla cheap, not by a long shot. But the cost of creating a car company, as Tesla has demonstrated, is monumentally expensive. An Apple takeover of Tesla would give Cupertino an automaker whose core business amounts to 100,000-per-year in luxury electric-vehicle sales, with 200,000 a distinct possibility by 2018 or early 2019. CEO Tim Cook would also be getting Tesla’s commercial infrastructure – Tesla’s stores – plus an extensive Supercharger network, a battery factory in Nevada, and as a bonus, a solar-and-energy-storage business, position Apple immediately as a player in the power industry. And Apple would be buying, right away, $US4 billion per quarter in revenue, with $US5 billion in Tesla’s sights. Tesla’s top line is already staged to accelerate rapidly, and while it’s far, far less than Apple’s typical quarterly take – over $US60 billion in Q2 2018 – ascending revenue, at Tesla’s impressive rate, would be excellent compensation for a hefty overall acquisition price. And we might as well face the most critical motivator, given Apple’s fairly pathetic effort to do something in the car space: Tesla already makes the Apple Car – the brand overlap is obvious. I have no actual data on this, but I feel safe in assuming that nearly 100% of Tesla owners are also Apple customers, using multiple devices and services. Is this going happen? Probably not. But Musk has obviously revealed that Tesla is sort of for sale, and he’s named his price. The chance to buy an entire car company doesn’t come along very often, but I can point to two deals from the past ten years that have worked out well: Fiat’s takeover of Chrysler during the financial crisis; and the purchase of Volvo by China’s Geely. Apple has never undertaken a massive acquisition. It isn’t in the company’s DNA. But transportation – electric cars, self-driving cars, ride-hailing – looks like a major 21st-century business. Waymo could be worth $US175 billion, and General Motors created an $US11.5-billion autonomous mobility service with its Cruise division in just two years. Buying Tesla would put Apple immediately at the white-hot center of our transportation future. It would also save Elon Musk from, well … Elon Musk.